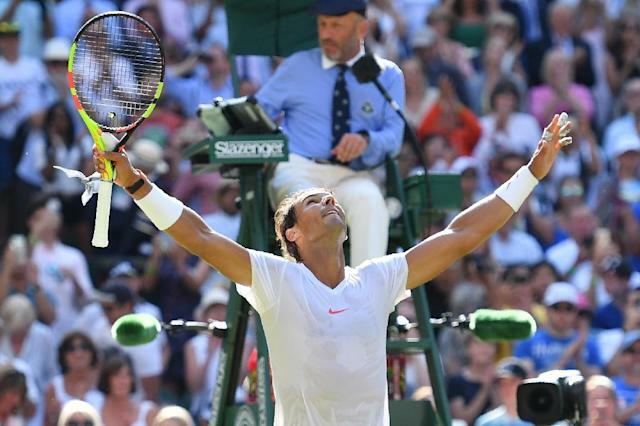 London (AFP) - Rafael Nadal insisted Tuesday that plans by Wimbledon to introduce a 25-second shot clock will kill off the sport's capacity for epic Grand Slam confrontations. The US Open will have a shot clock for this year's tournament with Wimbledon poised to follow suit. World number one Nadal is routinely warned for slow play between points. However, he believes players need time to compose themselves between points and to ponder tactics over five sets. "If you want to see a quick game without thinking, well done," said Nadal. "If you want to keep playing in a sport that you need to think, you need to play with more tactics, you want to have long and good rallies, then of course you are going the wrong way. "But seems like sometimes it is only about the business, so... I can't support this because I don't feel the matches that stay for the history of our sport went that quick." Nadal has been involved in epic confrontations down the years as he amassed 17 Grand Slam titles. He famously defeated Roger Federer in 2008 for the first of his two Wimbledon titles in a final which took the best part of five hours and ended in near-darkness. In 2012, he lost the longest final at a major to Novak Djokovic in Australia, a five-setter which stretched to five hours and 53 minutes. "I don't remember any emotional match that the total time was two hours," added the 32-year-old Nadal. "All the matches that have been important in the history of our sport have been four hours, five hours. "To play these kind of matches you need time between points because you cannot play points in a row with long rallies, with emotional points, having only 25 seconds between points." Despite his objections, the All England Club insist that a shot clock is on the agenda. "There's a general feeling that we should speed up when a match begins and ends," said the tournament's chief executive Richard Lewis. "The shot clock isn't a rule change, that's just something visible." 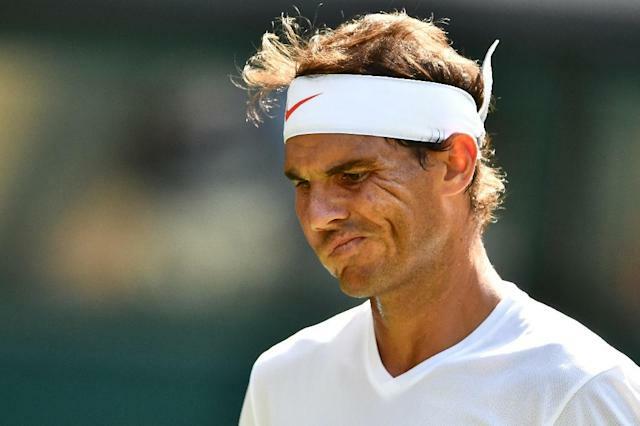 Nadal had no cause to worry about getting caught up in a marathon match on Tuesday as he opened his Wimbledon campaign with a 6-3, 6-3, 6-2 win over Israel's Dudi Sela, the world 127. Fresh from an 11th French Open title, Nadal was playing on grass for the first time this season. But there was no lack of competitive edge from the 2008 and 2010 champion who comfortably avoided being beaten at the tournament by a player ranked outside the top 100 for what would have been the fifth time in his last six visits. "I had a long clay court season, a lot of matches," said Nadal as he explained why he sat out the grass court build-up to Wimbledon. "After playing the final of Roland Garros and playing so many matches on clay, for my knees, the drastic changes are not good. "So we decided to stop a couple of days, then to start step by step on grass. I did the same last year." Next up for Nadal is Kazakhstan's Mikhail Kukushkin as the world number one looks to take another step to getting past the last 16 for the first time since 2011 when he was runner-up to Djokovic. Meanwhile, Djokovic also weighed in on the shot clock debate, claiming the full opinion of the players has yet to be sought. "I understand what they are trying to do with the shot clock," said Djokovic after making the second round with a 6-3, 6-1, 6-2 win over Tennys Sandgren. "Everybody is trying to get this new generation of people and the attention span is not maybe as it used to be, except if you're a real, real tennis fan. "But it has to be in line with the respect towards the tradition of the game."